Malawi remains one of the poor countries in the world with majority of the country’s population living below the poverty line. With its narrow tax base, the southern African country relies on grants and loans from western countries for its developmental projects. One of the major bilateral donors is Germany with the central European country’s aid to Lillongwe reaching 900 million Euro recently. Malawi’s first connection with Germany came in 1859 when Albert Roscher visited the land then known as Nyasaland under the Hamburg Trading Company. He became the first German to discover Lake Malawi on his mission to establish tradelinks with Africa. Roscher was later murdered by Arab slave traders in Tanganyika (German East Africa), now Tanzania. Meanwhile, more than 150 years down the line, relations between Malawi and Germany which started in 1964, continue to be cordial. Germany has been one of the major bilateral donors to Malawi, assisting three main areas, namely Basic Education, Healthcare and Democratic Decentrilization, as Berlin seeks to improve living standards in a country where more than half of the 14 million people live below the the poverty line. This leaves the majority of Malawians, who are mainly rural subsistence farmers, to live on less than 1 US dollar (0.60 €) per day. According to Tomas Staiger who is the Economic Planning Desk officer at German Embassy in Lilongwe, Germany envisages a world without poverty, violent conflicts and environmental degradation. As such, the Federal government is committed to helping Malawi in attaining the UN’s Millenium Development Goals through the national development strategy blueprint – the Malawi Growth and Development Strategy (MGDS), which seeks to eradicate extreme poverty among Malawians. Recently, German Ambassador to Malawi, Peter Woeste, handed over 16 new hostels and two classroom blocks to Karonga Teachers Training College in northern Malawi, built with German funds totaling to 7.2 million Euros. With the new hostels and classrooms, the institution has increased its intake from 300 to 550 according to Karonga TTC officials. True to Ambassador Woeste’s words, transformational development has been hampered by, among other factors, high illiteracy rate and shortage of qualified human resources in Malawi, hence the need to train many teachers if Malawi is to meet the MDG of Universal Access to Education to all school going children. As Malawi continues to recover from the recent financial crisis, German Parliamentary State Secretary, Grudum Kopp, on a recent visit to Malawi, offered a relief when she announced an immediate €14 million (MW Kwacha 4.7 billion) cash injection into the government system. Part of the money has gone towards the Health Sector Pool Fund with the remainder financing the Social Cash Transfer Scheme whereby the poor households are getting monthly cash disbursements to help them access food of their choice within their locality. This initiative is benefitting a total of about 2 million people in Malawi’s Southern province who have been found to be most vulnerable due to drought and high food prices as a result of recent devaluations of the local currency against world major currencies. 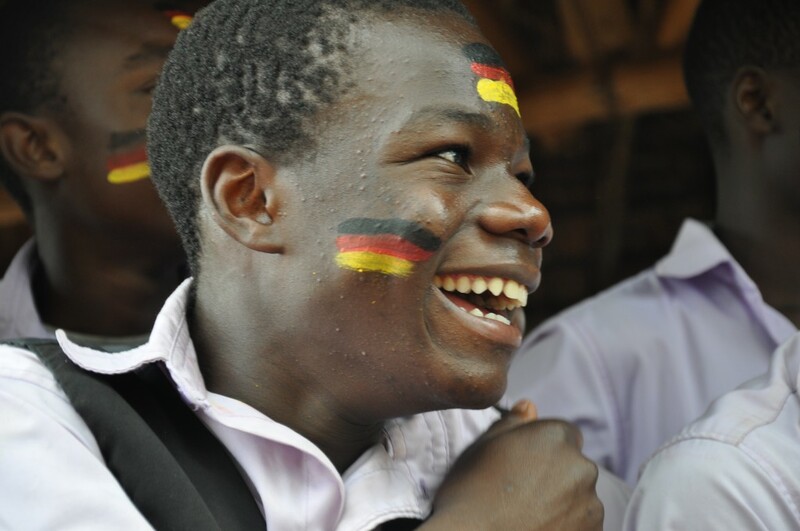 As Malawi and Germany relations clocks 50 years in 2014, the citizens of the Warm Heart of Africa, as Malawi is fondly called, look back and thank the people of Germany for always channeling their resources towards the southern African country. Other areas that have generously benefitted from German assistance are the Democratic Decentrilization, Culture and Sports with the aid so far reaching €1 million. 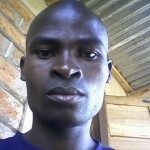 Deogracias Benjamin Kalima lives with his wife and daughter near Lunzu, Malawi. He is striving for a professional career as Journalist and eufrika.org athour Luca is currently trying to raise funds for Deogracias to make a diploma in media studies.